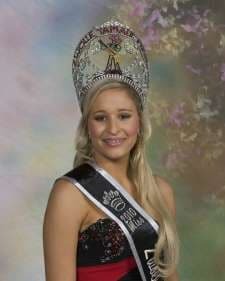 My name is Taylor DeAnn Wright and I am the 35th Annual Zwolle Tamale Fiesta Queen. I am the 17 year old daughter of Wendell Wright and Deanna Fredieu Wright. My maternal grandparents are Wesley and Patsy Fredieu of Many. My paternal grandparents are Richard and Delories Wright of Florien. I have two sisters, Taryn and Stephanie, a niece, McKenzie, and a nephew Caymen. I am currently a Senior at Florien High School where I am active in many clubs and organizations such as, Student Council, SADD, FCA and GPA. I have also worked with the summer PALS program and the Special Olympics. I am a varsity cheerleader where I served as captain for two years. I was choosen as an All American Cheerleader and a finalist in the Jump Off competition. My hobbies include shopping, riding 4-wheelers, and spending time with my friends and family. I am a member of Antioch Baptist Church. I would like to thank Harold and Becky Anderson for sponsoring me in the Tamale Fiesta pageant. 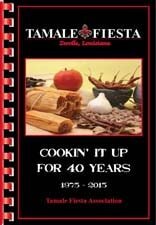 I am proud to be representing the Tamale Fiesta as the 35th Annual Zwolle Tamale Fiesta Queen.